The third and final defendant has been sentenced in one of the most violent and tragic incidents that we've ever reported. Asante Pearce, 20, received a 4-year prison sentence this week after pleading guilty to robbery in the June 23, 2013, beating and robbery of two young men near the Belmont Red Line station. The victims had detained two cell phone thieves and were waiting for police to arrive when they found themselves surrounded by an angry mob that proceeded to beat, slash, and rob them. Tragically, no officers were ever actually assigned to help the victims with the phone thieves because the 19th district had no officers available. Pearce's two co-defendants, Morgan Townsend and Deondre Williams, received 5- and 7-year sentences respectively after they each pleaded guilty to one count of robbery last year. All three men were charged with 19 counts in connection with the attack. 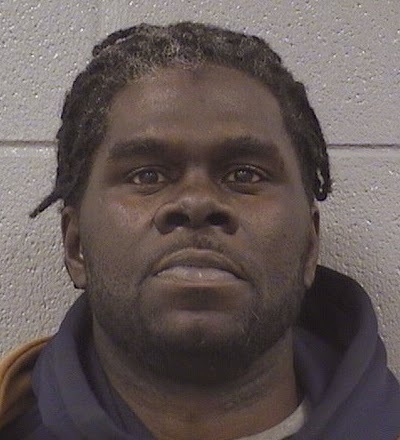 • Brian Conner, charged with aggravated assault after allegedly threatening a Center on Halsted worker with a dual-bladed knife on January 20, has one less thing to worry about. Charges were dropped when the Center on Halsted employee failed to show up in court. 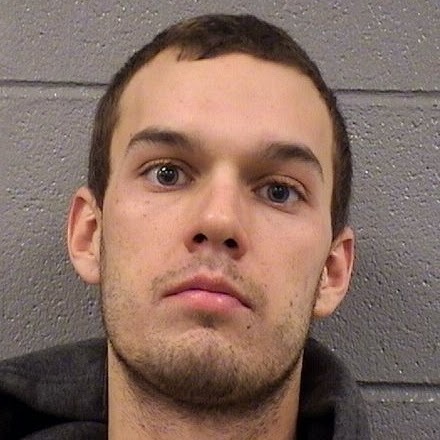 Conner still faces simple assault charges for allegedly threatening to kill another Center on Halsted worker in a separate incident. • Aaliyah Foster also reaped rewards when the Center on Halsted failed to show up for her court appearance this week. Foster was arrested after the Center reported that she was throwing garbage cans around the complex and refused to leave. • Career criminal Darnell Dunbar received a 30-day sentence Thursday after he pleaded guilty to stealing a tablet from an Uptown restaurant. He is currently on parole for robbery, but there are no indications that the state intends to revoke his parole. Dunbar evaded shoplifting charges in December after management of a local 7-Eleven failed to show up for his court date. Management has claimed that they were given the wrong court date. • Another one of the five men arrested after police found 24 stolen catalytic converters in their van in January has pleaded guilty to theft of lost or mislaid property. Harold Wade, 21, received one year's probation. Two of the other defendants pleaded guilty last month and received identical sentences. The two remaining defendants are due in court on Monday. One of those defendants, Christian Buie, now resides in the Illinois River Correctional Center since his parole got revoked last month. Buie's serving four years for manufacture/delivery of heroin and possession of a firearm by a gang member. • All charges were dropped this week against Tasheaka Carpenter, who had been charged with two others in an October 2013 robbery. Her co-defendant, Nicole Taylor, received a 15-year prison sentence late last year. A second co-defendant, John Jefferson, is due in court next week. • Adam Feldman, suspected in the robberies of two Subway restaurants in our area last month, is facing additional charges in suburban Northbrook. Already charged with robbing a Subway restaurant there on Valentine's weekend, Feldman is now also charged with trying to rob a Domino's pizza shop in Northbrook that same day. He has not yet been charged with any of the Chicago crimes. According to reports, Feldman went on his alleged crime spree after walking out of court-ordered rehab in the suburbs.